Giuliano Bevilacqua changed function and industry after an MBA at MIP Politecnico di Milano. Working as an engineering consultant for an IT services company in Italy, but keen for a career change, his choice of school was a no-brainer. As well as boasting partner companies like Microsoft, Boston Consulting Group (BCG), and Lastminute.com, 95% of MIP’s MBA graduates who are seeking employment find it in under 10 months. During his degree, Giuliano took part in MIP’s Management Bootcamp, where various partner companies come on campus to challenge students with miniaturized, real-life projects. And Giuliano spent a week in Silicon Valley, visiting leading startup accelerators like Plug&Play and 500Startups, and tech giants like IBM and Google. 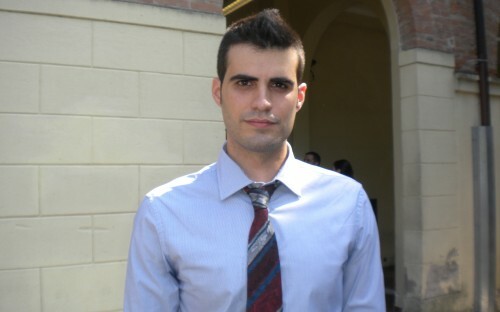 Culminating in a three-month project with Lastminute.com, Giuliano’s MBA experience helped him relaunch his career and transition into a financial reporting specialist role for telecoms company Wiko Italia, in Milan. BusinessBecause caught up with Giuliano to find out more. Despite working for a big company, in a very interesting role and with a good salary, I had the feeling I was not using 100% of my abilities. The job was too focused on the IT side and too little on the business side. Working as a consultant, I didn’t get the feeling I was part of a company and it was very difficult to participate in all the decision-making and strategic activities. I wanted to make a difference in my work, so I decided that I needed more skills, particularly soft and leadership skills, in order to succeed. Why MIP Politecnico di Milano? I liked the fact that MIP is organized as a consortium with a group of companies. The school has very good business connections giving students the possibility to see the things learned in practice and to connect with possible future employers. The program structure also appealed to me—a combination of digital lessons, face-to-face lessons and the Management Bootcamps. The Silicon Valley Experience also really stood out for me. During this week, we had the opportunity to meet people from different backgrounds, for example, Pierluigi Zappacosta, Logitech’s founder, and Massimo Arrigoni, founder of MailUp. Thanks to the MBA, I landed a job at Wiko Italy. One of my objectives was to change role and industry, and the MBA helped me do that. Thanks to the Management Bootcamp I learned how to work with senior managers and in a team with my classmates. The Silicon Valley Experience taught me how companies are created and how to scale up. It also gave me some idea on how I can create my own company—something I would really like to do one day. Finally, the project with lastminute.com allowed me to work at a very high level. I worked directly with the company’s chief data officer, as well as top management, in order to develop a complex system to help to make better decisions inside the company. All the activities I did during the MIP MBA helped with my career development. Choose the MBA program that best suits your needs. If you want to specialize in something, choose an MBA with the right concentrations. There is not one right decision for everyone; the best advice is to focus on what you want and to choose the MBA that’s the right fit for you.